There are no schedules at our Guest Cottages. Each cottage is complete with the kitchenette, so cook whatever and whenever you want! This is your holiday! Start your morning out with coffee and home-made baked goods and fresh fruits served to you in “your suite.”Enjoy the privacy of your room in front of a cozy intimate fireplace or outside on the covered deck overlooking the little hobby farm where the horses are out grazing. After a while take a walk down to the pond to feed the fish or join Judy down by the barn and feed the horse Emmy and the adorable miniature horse Mira-Bell a carrot. Across the road are endless trails for a morning hike and note the many species of birds that are native to our Island forests. After enjoying your day touring the local attractions and islands activities, come back to your sanctuary and enjoy a glass of wine and watch for a resident deer to come out and graze in the yard with her fawn. You can occasionally catch a glimpse of a black bear known to cruise around the neighbourhood looking for apples. The cottages are equipped and furnished with modern conveniences like flat screen t.v.’s and include Wi-Fi. The ensuites are modern and filled with lavender scented bath essentials and fluffy white towels with cozy robes and slippers. I always provide sea salts infused with lavender from my garden for a relaxing soak in the full sized tub. For information on Rooms & Rates click here. Driving Directions: 3567 Ryan Road, Qualicum Beach, BC V9K 1X9 – Take the Alberni Hwy. to Brittain Blvd. and turn left. Follow the road to Poplar Way and turn left. Continue to the end and turn right onto Hebert Road. Follow to the end and turn left on Carson Road. The next road is Ryan Road and you are here! For more information, call us at 250-752-4520, or email. 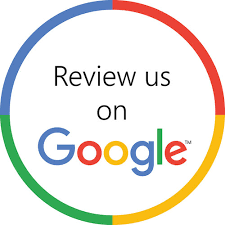 review us directly on Google.